Hello, NailDesigners! Are you ready to go crazy on the classic French manicure? Check out our daring list of French tip nails with design art. We are huge fans of the classic French tips. They are simple, understated, and elegant. They go with any outfit and they are good for any casual or formal occasion. Did you know? The French manicure is called “American nails” by the French while Americans call them “French manicures”. Quite funny, right? As great as French tips go, we are often seized with the desire to experiment. 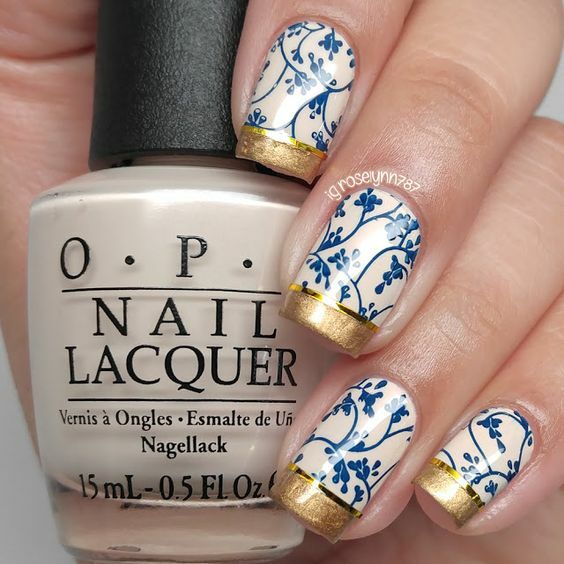 Check out our awesome list of all these nail art designs that have been inspired by the classic French tips. We’ve got colored tips, golden tips, rhinestone tips, holographic glitter, dotted tips, and a whole lot more! Just remember, naildesigners! The secret to an awesome French tip is to make the tips perfect. Messy tips don’t cut it!